I am attorney Matthew Sherrod Swilley, and I established by law office, Swilley Law Firm, LLC, in Florence, South Carolina, in order to deliver the highest level of advocacy and support possible to those facing serious criminal charges, as well as to those who suffered an injury or loss as the result of someone else's negligence or wrongdoing. Serving clients throughout Florence, Marlboro, Marion and Darlington counties and the surrounding areas since 2009, I have achieved notable success helping people during some of the most scary and uncertain times in their lives. Through my law firm, I defend clients accused of DUI and traffic violations, drug crimes, domestic violence and other felony and misdemeanor offenses, and I have recovered substantial awards and settlements for innocent accident victims and their families. Having completed training sessions with the National Criminal Defense College Trial Practice Institute and being highly active in a number of professional legal organizations, I possess the skills and resources necessary to help you achieve the best possible outcome for your situation no matter how complex or challenging. 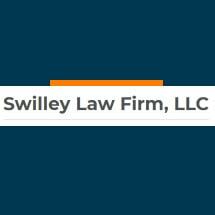 If you face criminal charges or seek the full and fair amount of compensation for the damages you incurred through a preventable accident, you can contact Swilley Law Firm, LLC, by calling my law office or visiting my website to schedule a free initial consultation. Working together, we can help you obtain the justice you deserve.